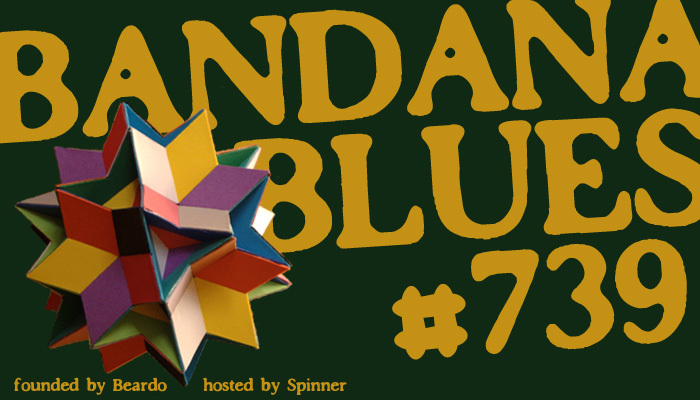 Like in last week's podast, Spinner presents to you a few brand new releases in this week's show. And most of the other music you'll hear is also fairly recent. So download it and start listening. In this show Spinner presents to you 20 songs of which five are brand new. 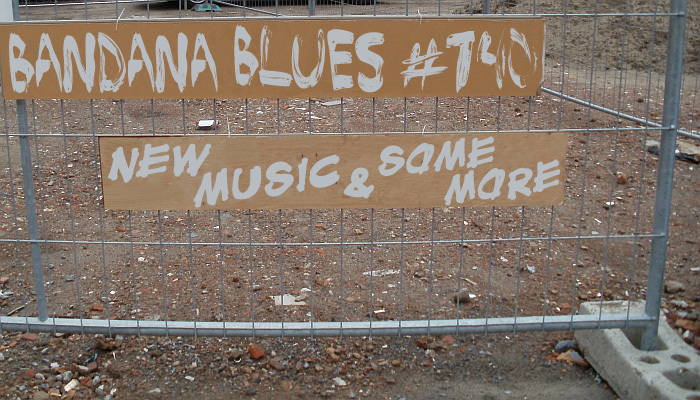 Together with the older tunes it turnes into a diversified rocking blues show that will grab your ears. 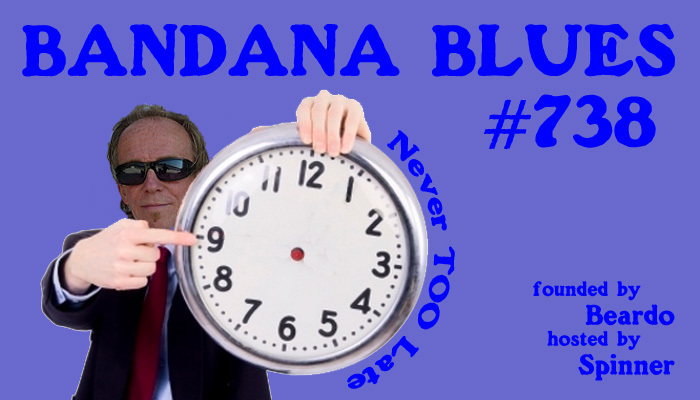 Bandana Blues #738 - Late... But Never TOO Late! Late... But Never Too Late! The show is late because Spinner has been too busy playing music with a couple of friends at a 5 day outdoor rolling kitchens or foodtrucks event in Amsterdam. That gave him very little time to listen to music to pick songs to play and search for some information about it. 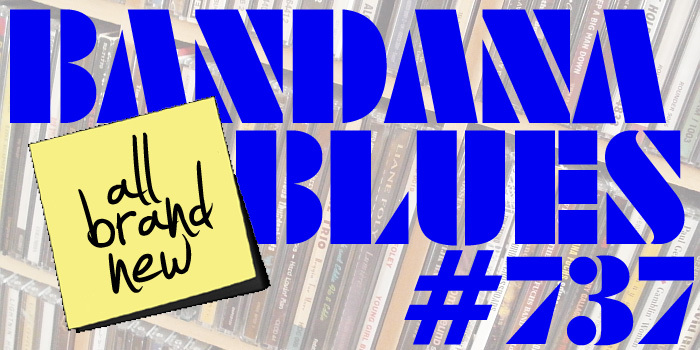 So show #738 is just a thrown together collection of blues & such. But still good enough to be a real Bandana Blues show. Turn it up and judge for yourself.